TeamTec has signed an agreement for the delivery of Oceansaver BWTS for 2 x LNG carriers at DSME, Korea. The agreement also includes the possibility for 4 options. The new orders add to a reference list for Oceansaver reaching close to 200 systems. 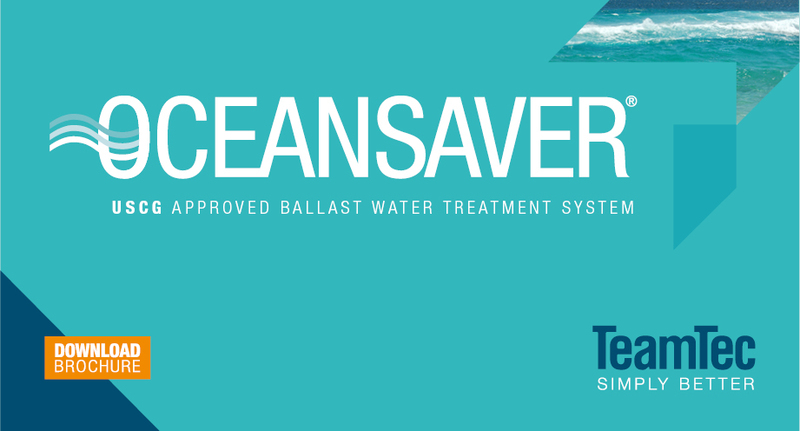 TeamTec took control of the Oceansaver Ballast Water Treatment System in September 2017 and holds the IMO and USCG certificates for the system. “It has been some hectic and highly interesting months since the takeover in September, customer response – both from existing and new customers – has been very positive” says Edvin Tunheim Tønnessen, Head of Sales Oceansaver BWTS. “We have been able to quickly establish a solid aftersales service for the Oceansaver system and are able to offer both qualified service engineers and genuine spare parts with good availability. We also see a very high interest in our system for both newbuilding and retrofit projects. With the long experience TeamTec has in the maritime industry, customers know that we supply excellent support and high-quality products”. TeamTec Oceansaver BWTS is handled from the TeamTec headquarter in Tvedestrand, Norway. Oceansaver Ballast Water Treatment System is manufactured at TeamTec’s own production facilities at Akland, Norway, with an excellent seaside test facility in Risør, Norway. TeamTec also benefit from offices in Drammen, Singapore, Shanghai and Busan, in addition to a worldwide network of agents, partners and service providers.